If you’re hosting an event, getting the word about it out is key! What’s the point of it, if no one will show up? 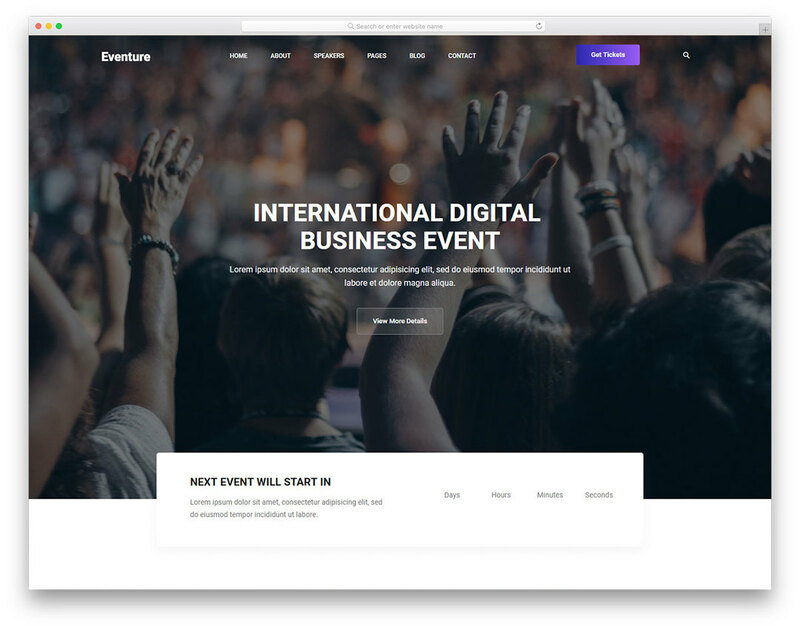 Eventure will provide a template that is a complete show-stopper. Market your even the right way! Integrate google maps, set up a countdown timer, upload images and make it beautiful on every type of screen: mobile, PC and tablet. Based on a Bootstrap Framework, Eventure equips its user with the ability to seamlessly modify, change, and make the template truly your own.